How literally do you take the term “point and shoot?” For at least one designer, that term was an inspiration to create something truly unique. 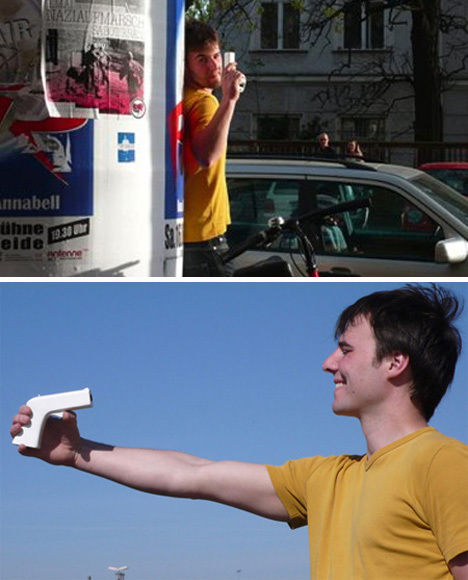 Franziska Dierschke created this digital camera, which she calls Aimat, to put the fun back into taking pictures. The Aimat is small and doesn’t have a viewfinder, which takes the photographer’s mind off of framing the perfect shot and lets them have fun with the act of “shooting” a picture. 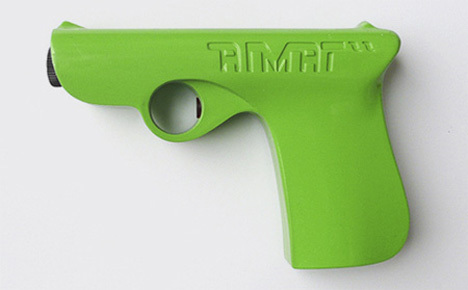 Put into the playful context of a toy gun, taking pictures of friends could turn into a pretend gun battle. Although it doesn’t look at all like a real gun, it might be a little dangerous to pull this camera out unexpectedly in some parts of the world. But you don’t need to worry – for now at least – since the Aimat is just a concept and not actually being produced for sale.